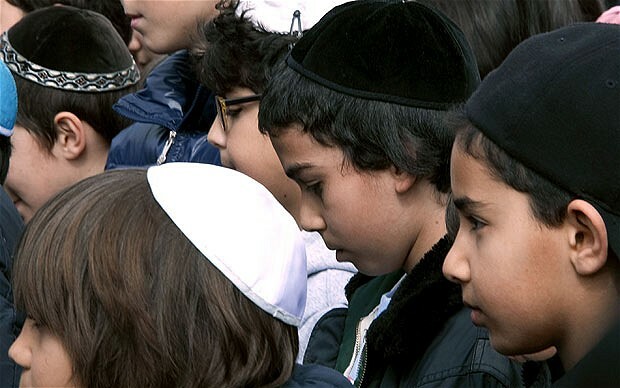 Gunfire rang out early Wednesday morning as French police launched a pre-dawn raid on an alleged Al Qaeda safehouse, arresting two suspects over the cold-blooded killings of three children and a rabbi in a racially-motivated attack. The suspect is thought to be a 24-year-old man who had previously travelled to the lawless border area between Pakistan and Afghanistan which is known to house al-Qaeda safehouses, one of the officials told AFP. Two police were slightly wounded as the operation got underway, led by officers investigating three attacks by a lone gunman in which three off-duty soldiers, three Jewish school children and a rabbi were killed, he said. A source close to the inquiry told AFP a 24-year-old suspect had exchanged words with the RAID team and had declared himself to be a member of Al-Qaeda, the armed Islamist group founded by late Saudi extremist Osama bin Laden. French Interior Minister Claude Gueant had arrived at the operation site, in the Croix-Daurade district of the southwestern city of Toulouse, scene of two of the shooting incidents over the previous nine days, he said. Police in body armour and helmets had sealed off the neighbourhood, an AFP journalist at the scene reported. The serial killer at the centre of France’s biggest ever man-hunt cold-bloodedly executed all his victims with a shot to the head and may even have filmed his racist killing spree with a view to posting it on the internet. The scooter gunman shot each of his seven victims, including three young children, at such close range that the gunfire burned their skin, a French prosecutor revealed on Tuesday. Terrifying comparisons have been drawn between him and Anders Behring Breivik, the Norwegian who went on a shooting rampage that killed 77 young people at a holiday camp outside Oslo last July. It was thought to be the same kind of camera that Breivik recommended in a rambling racist manifesto published ahead of his massacre. Police were scouring the internet for the Toulouse killer’s footage, but no trace had yet been found. The killing of a teacher and three children at a Jewish school on Monday was linked to two earlier shootings of French paratroopers. Police have determined that the same .45 calibre handgun was used in all three attacks and that the gunman sped away on the same Yamaha T-Max scooter, a motorcycle that was stolen from a central Toulouse street on March 6.